What are a few personality traits true to most Norwegian Forest cats? Hoping a few Norwegian owners might humor a question. All cats have different personalities and quirks, but a few are fairly common in certain breeds. In your opinion, what are a few personality traits true to most Norwegian Forest cats? Are they tolerant of warm/hot weather climates, socialize with other animals easily? Alexis Jennings: She has an adorable meow. It’s so quiet compared to my current tabby girls. ( Sisters, they don’t talk often, but they are heard when they do lol. ) Is she a single house cat? Yaretzi Leonard: Talky and affectionate are the first words that come to mind. Demanding is another one, especially when playful. My Dusty used to sit in front of me and meow gently until I played with him. Alexis Jennings: What do you recommend as the best toys/ activities? My current tabby companions are fond of fetch and catch. Yaretzi Leonard: Anything to do with lights. Laser pointers, the reflected light off a small mirror, a ball with flashing lights. Iker Hunter: Mousies! The bigger the better and preferably real fur (with a suede tail that usually gets eaten first, just to put the mouse at a disadvantage). Megan Pierce: Openhearted, easy, active, always around you and very smart! Some do talk a lot, some meow and other more a purrrr sound. Have 10 NFO’s and all 10 love different toys, most love the catnip stuff but crispy balls are great too. Few of those cork-like toys and they get absolutely crazy.They don’t seem to be bothered by either cold or warm but my cats do not go outside and we live in a very temperate climate, they do love to bake in front of the window…Young cats are easy to adjust, the older ones depends on the cats a bit. Most are easy, with new cats, other pets and kids. But some older cats can get cranky a bit. Gemma Long: I find my boy to be incredibly mellow, sociable, and intuitive. He seems to know who’s upset and when, and always heads straight for them. He’s loyal, silly, and very sweet-natured. Loves to chat at me as he enters a room, but has a low purr-meow voice that I’ve never heard in another cat. Kaleb Casey: Our boy Sigi is the clown, super sociable and confident. Our girl Oli is quieter – unless she wants to play, then she’ll yell for attention. Both chirp a lot and talk to each other constantly. Both mischievous, smart and affectionate. They like their comfort – Sigi likes a pillow to rest his head when he sleeps! Toys will be dragged from one end of the house to the other, no matter the size. Makenzie Goodwin: I have four crosses all are trained to sit stay come youngest responds to dog and climbs on nearest shoulder normally daddy’s as he holds her lead. Playful talkative but my single domestic short hair is quite vocal. Don’t like other cats in garden they talk alot to each other. Colin Pittman: My Storm is loving gentle playful kind, loves everyone especially children, he’s bombproof and sits in the window to watch fireworks, he’s funny and entertaining, he sits and stays on command, high fives and jumps into my arms on command, follows me around helping with the housework so he thinks lol….he’s just one big chilled out cuddle bug. Everly Dixon: Baron is extremely friendly to other animals… highly intelligent, talkative and playful! Alexis Jennings: Thanks everyone! It sounds like they are true lil chatter bugs that would actually adapt well to my 2 cat, 1 dog household lol. You all are a fantastic community. Appreciate the help. Aurora Sherman: Generally very good natured and loyal. So says Mr Pudge! Hunter Romero: My cat is my furry alarm clock if I don’t get up early each morning. Jumps up on the night stan, leans over and chirps in my face. If I ignore him, he punches me. He’s a big love bug. Have anyone declawed their cat? 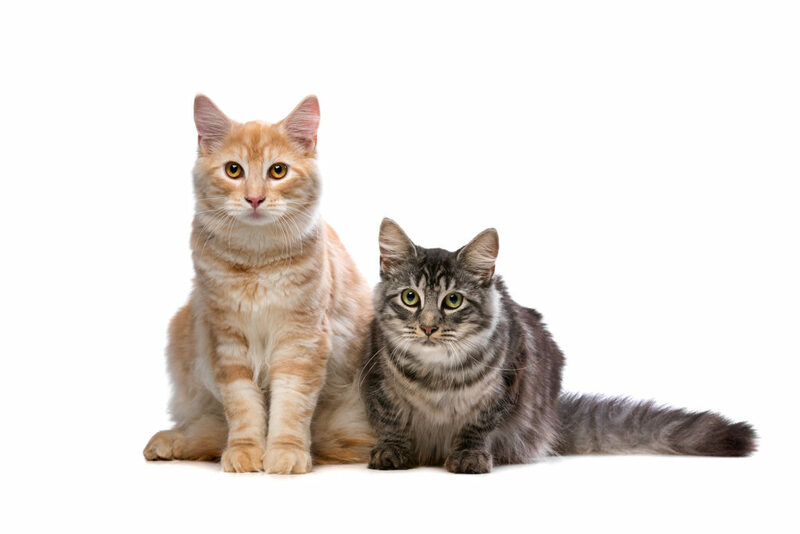 Does everyone declaw there Norwegian forest cat and if you do why????? What do you feed a kitten? What do you feed your cats? Would you recommend a collar or a harness? 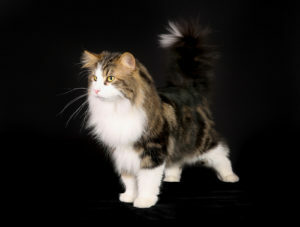 © NorwegianCat.com - All About Norwegian Forest Cats!